As John Ashworth has learned many times since taking over management of Goat Hill Park in Oceanside three years ago, renovating and running a golf course is far from child’s play, even when you’re building a kids’ course. 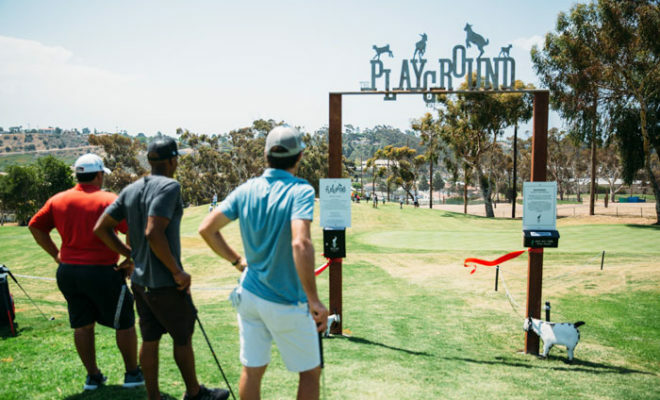 Last November, Goat Hill completed work on a three-hole kids’ course adjacent to its driving range – named The Playground – that opened for public play last month. Building a three-hole course on which shots range a mere 25-50 yards may sound simple, but Ashworth can attest that’s hardly the case. 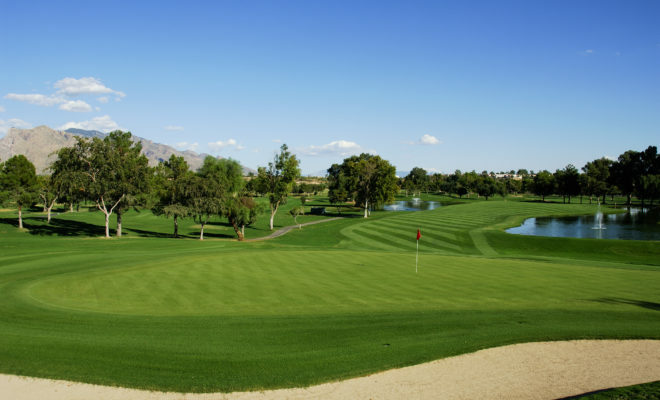 Built in part to fulfill an obligation as part of his original agreement with the city, the project involved clearing the undulating parcel of scrub brush and tumble weeds and dumping 200 truckloads of dirt to be shaped before the greens could be built and irrigation and turf added. The former eye sore is now a verdant Playground – the name of the kids’ course – of growing grass meant to help grow the game. 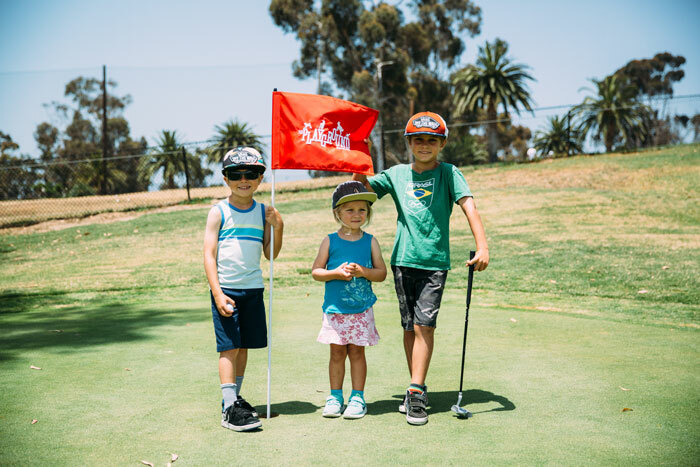 “You want to get (kids) exposed to the game early, and this is just enough to do it,” Ashworth said, noting the course will be open to kids of all ages, many likely playing the course and its rolling terrain with just a putter. 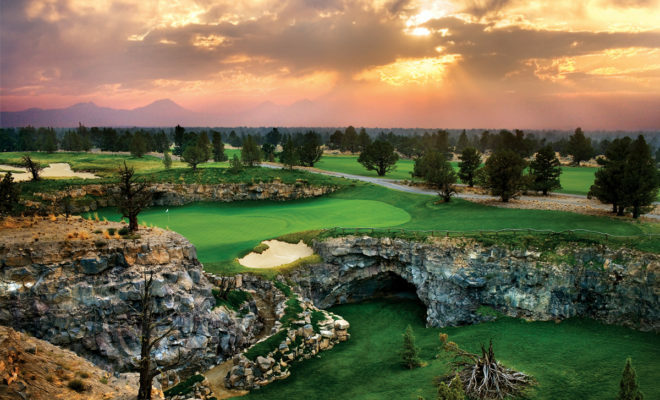 Famed golf architect Gil Hanse and one of his associates, Shaymus Maley, assisted on the three-week project. Hanse happened to be in Carlsbad re-working Callaway Golf’s practice range when Ashworth reached out for a design and landscape assist. Ashworth said the idea for the kids’ course came to him during his travels through Europe. 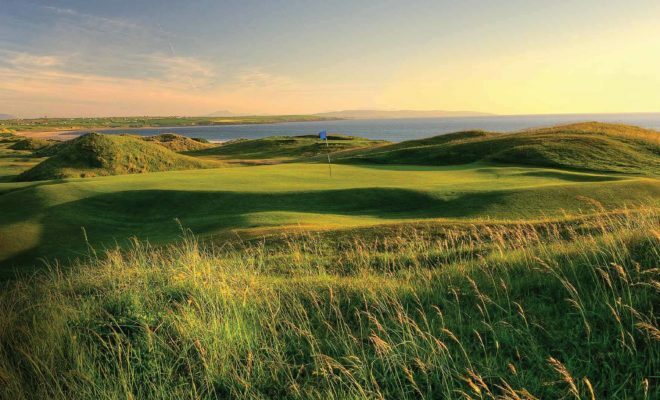 “When you’re traveling through Scotland and Ireland, you notice that a lot of places have a little kids’ course,” he said. And Ashworth emphasizes that the course will be a course and not just a short-game area. Goat Hill already caters to kids and juniors as home to the North County Junior Golf Association. President of the NCJGA and instructor David Emerick said the kids’ course will be more than a place to just put a club in a kid’s hands. 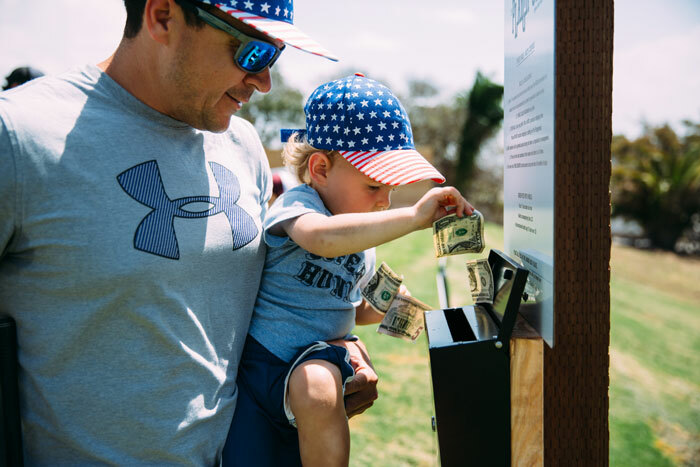 “It allow us to teach them rules of the game and etiquette as well as pace of play,” he said, noting that parents will be encouraged to caddie. But play on “the playground” will naturally be the main draw. “I envision a lot of little kids using a putter and one ball until you can go to level 2 and then you can use a 7 iron. But putter is enough to start,” he said. Emerick said the course will also be a natural place to foster and nurture the relationships the game facilitates. Goat Hill General Manager Eli Ivey is similarly excited about the possibilities for the kids’ course to contribute to growing the golf culture at Goat Hill. “You start them young and then hopefully that carries over and they decide to become part of the Goat family,” Ivey said. Ashworth, who also owns and operates the Linksoul golf lifestyle clothing line, took over the Goat Hill project three years ago after the property was targeted for re-development by the city. 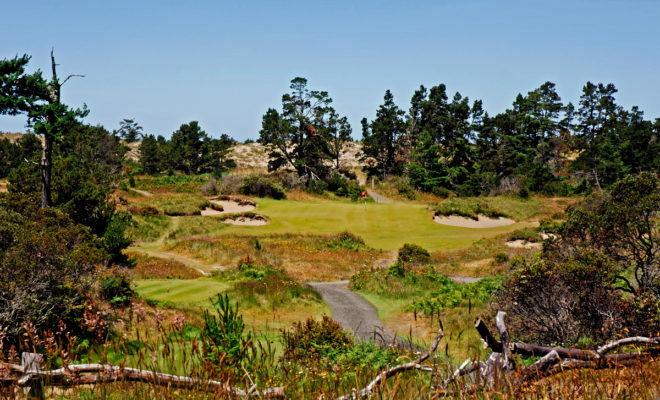 At the time, the neglected course had conditions much like the barren hardpan found on many driving ranges. 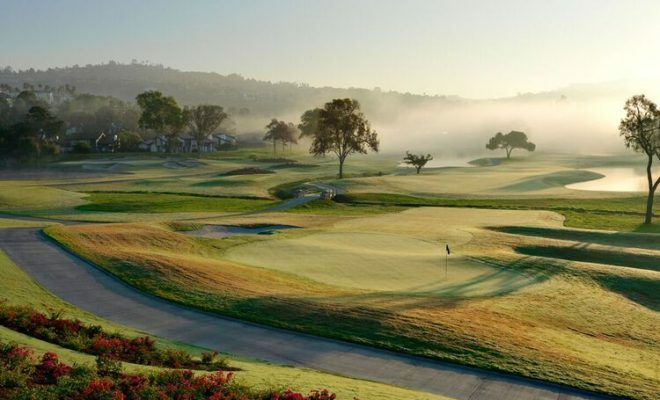 Ashworth’s efforts to revive the course and restore aesthetically pleasing conditions have been lauded in many circles. The course, which opened in 1952, is entering its second full year of operation under Ashworth’s care. He said the journey has been trying at times but ultimately rewarding and one that continues to evolve and generate support from the community, as the recent donation campaign showed. “It really shows the support the whole project has had. (What we’re doing) resonates with people. 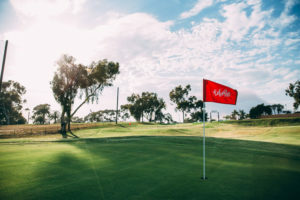 We’re kind of like the little engine that could,” Ashworth said, adding that profits at the course have all been re-invested in course maintenance and maintaining course conditions. A course that once had a shaky and uncertain future now seems solidly re-established and Ashworth and his staff can now focus on fostering a future based on growing the game.